There’s no doubt that Linux is something! 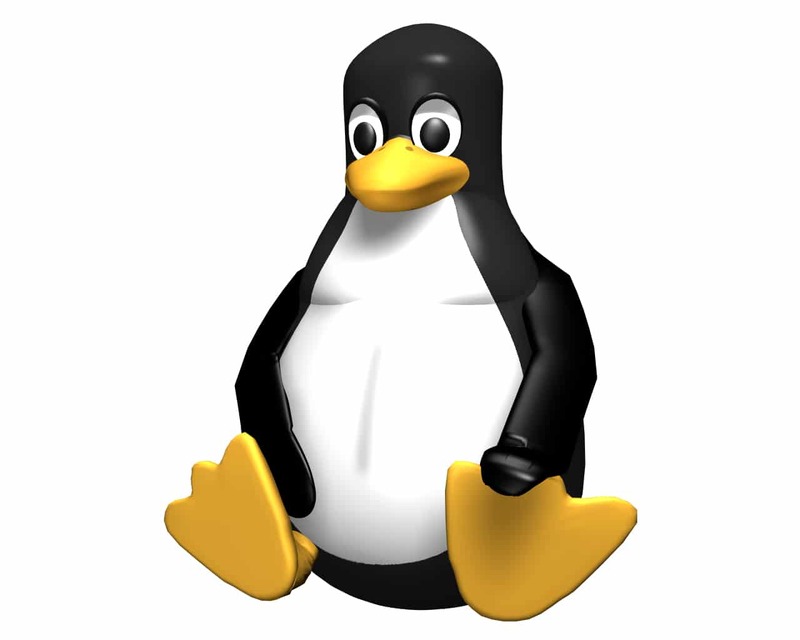 In the past years, Linux has become more or less a competitor for the paid Operating Systems such as Windows and Mac OS X. For that, the contribution of various Linux distributions out there such as Ubuntu, Linux Mint, etc. were critical. People used to have issues such as lack of software availability along with compatibility issues. Now, however, it’s all set — Linux offers a lot, from media players to coding. Well, in this Internet era, you don’t need anything else if you have the best Linux web browser with you! Well, you’d heard us right. From watching movies to editing videos and coding your HTML site to running a virtual server, a good web browser will do the job. So, it’s all about whether you have the best browser for Linux installed on your system. In this post, we are going to list out the best web browsers you can have for your Linux-powered computer! All these browsers come up with standard capabilities, but it’s up to you to choose the effective one. Considering the wide variety of factors like User Interface, compliance with technologies like HTML5 and all, you can have our help to find an answer for a question — what is the best Linux web browser? Mozilla Firefox may be the pre-built web browser of your Linux distribution if you are using Ubuntu or something. If it is or not, Firefox is one of the best browsers you can get. From 2002, Firefox has been helping users to browse the web more smoothly, without consuming many resources. It’s worth noting that Mozilla Firefox is the third most popular web browser in the world, a lot of people using the same on other platforms like Windows and Mac OS X. That is having said; Firefox is better than many other browsers out there. For instance, there’s a huge collection of Firefox add-ons you can install, to boost productivity. Also, since Firefox has become a standard, you can run almost every site or web app in this browser. Also, there’s protection from some privacy threats and tracking. When we count the element inspection and other tools, Firefox is developer-friendly Linux browser as well. 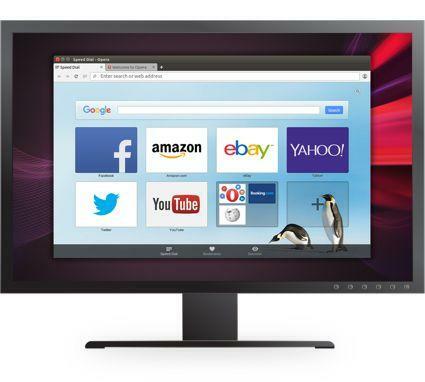 Opera —a popular web browser available for different platforms — is one of the best Linux web browsers out there! Of course, apart from the simplified interface, Opera offers some impressive features. For instance, when compared to other web browsers for Linux, Opera seems to have a more stable version, and there are timely security fixes from the closed-source company. Also, as seen in Chromium, you can install various extensions in your Opera for Linux. Availability of Opera Sync ensures that your browsing data — even of the last session — will be available in the Linux counterpart, while the browser offers standard browsing speed as well. Aimed at the pro users, Opera has included some features like support for BitTorrent, RSS, and email, etc. In addition to this, you will have to install Pepper API Adobe Flash plugin for accessing flash content. This one is noted for performance and speed. On top of all, the User Interface is commendable. If you like the interface of Google Chrome and want to bring it into your Linux device, you should try Chromium — a project based on which Google Chrome is made. When compared to Mozilla or other browsers, Chrome has sleeker design and interface, not to mention the developer-friendly options out there. 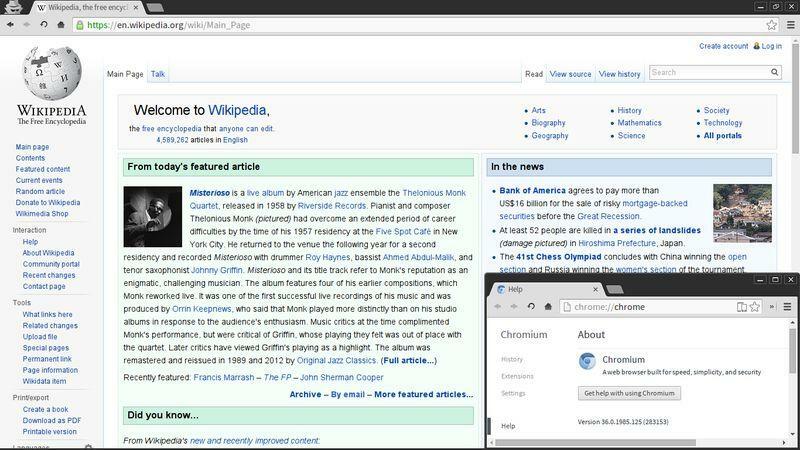 Regardless the Linux distribution you have, Chromium will be available, thanks to the open-source initiatives. Apart from the best-in-class browsing speed, support for extensions, Chromium offers a lot more. For instance, there’s Sync feature that can bring your apps, settings, and bookmarks from the cloud. Though you have an option to choose what needs to be synced, Chromium is capable of almost everything. When compared to Chrome for Windows, Chromium may fail to give you better integration with Google services. And the best part is that you’ll be free from Google’s tracking stuff. Some disadvantages include lack of H.264 support. When you need an ultra-minimal web browser for your Linux, you should go with Midori, which comes with a superb UI and support for various repositories. In various Linux distributions such as Manjaro Linux and elementary OS, it is the default web browser. Talking of the browser, it makes use of WebKit rendering engine as well as the GTK+ 2 and GTK+ 3 interface. You should never judge Midori by its looks because the browser offers some features also. For instance, you get support for HTML5 pre-built in Midori, and so, CSS3 should work fine. Talking of browsing-based features, you get a tab-based interface with session management, Smart Bookmarks, a variety of extensions that can be used for pro users, support for Ubuntu Unity, private browsing and lots more. 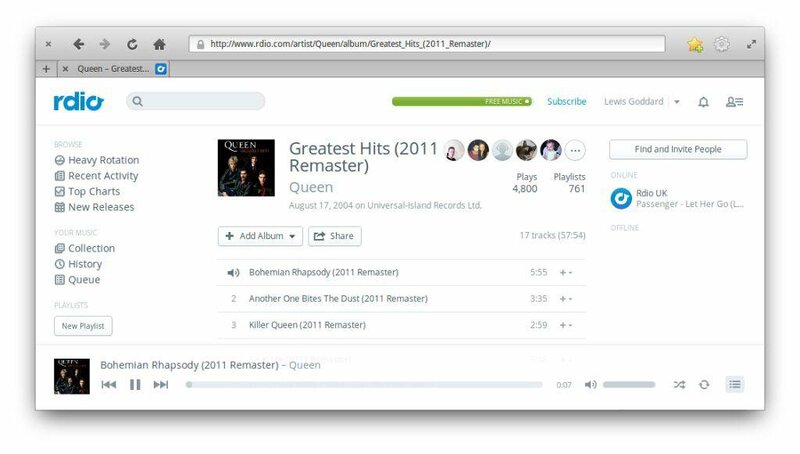 Midori also offers an enhanced level of support for services like YouTube and Spotify. Apart from Linux, Midori can be installed on Windows and Mac OS X. If you were looking for a Linux web browser that offers a native look but doesn’t compromise features, you could stop your search here. 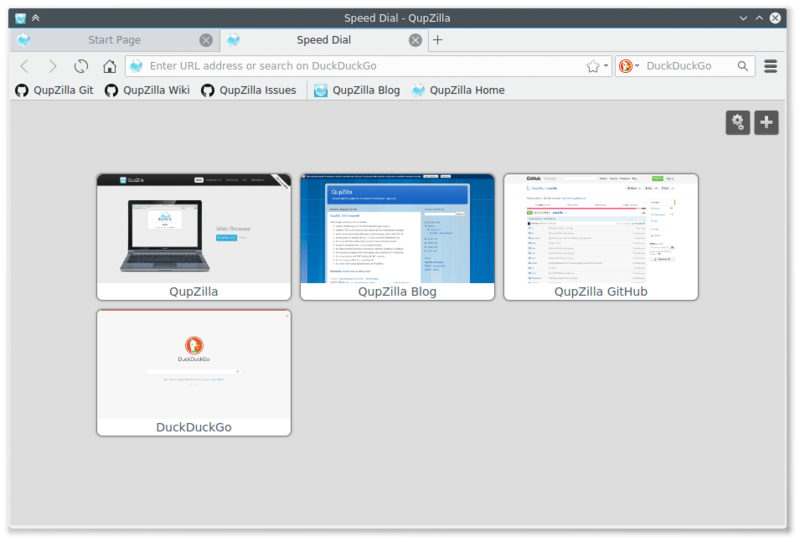 And, you can start using QupZilla, which comes with a simpler interface. Once installed in the Linux device, you get to know how integrated the performance is. The Linux browser is based on WebKit rendering engine, and there’s support for HTML5 and CSS3. Of course, you’ve some truly productive, time-saving features there. QupZilla comes with a pre-installed version of AdBlock in it, and no ads are going to disrupt your browsing. And, if we are to compare QupZilla with other browsers, the resource consumption level is way too low. Other features of this browser include the Unified Library to read the content you like, Speed Dial for easier access to your favorite sites, etc. It is not a big-deal browser, but a good-to-go, minimal one for Linux. 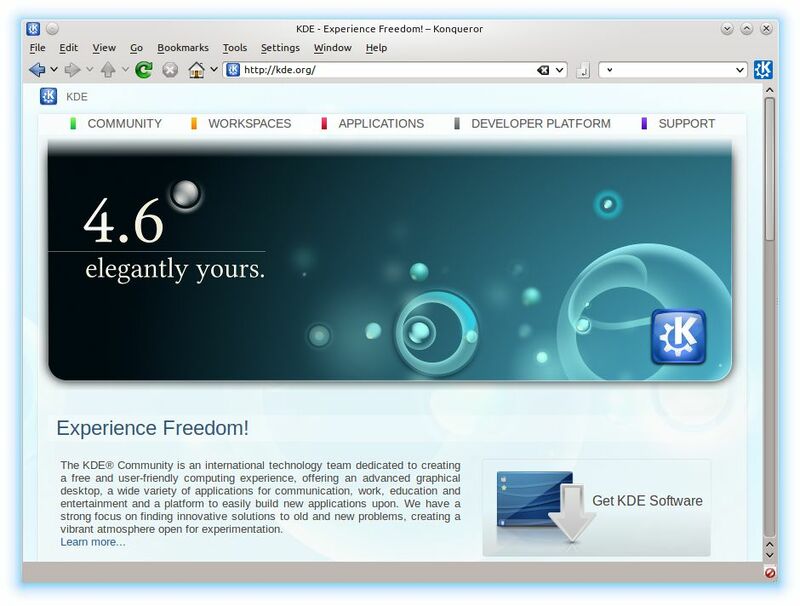 Konqueror isn’t just a Linux web browser. On the other hand, it’s a combination of web browser and a file explorer for your Linux-based device. Its File manager section for KDE lets you have access to FTP and SFTP servers. You also get a few options such as for ripping audio CDs and all. And, when we come to the case of Konqueror web browser, it has its base on KHTML rendering engine and is compatible with HTML5 and CSS3. There are some pre-built features too. For instance, it comes with an inbuilt version of Adblock and the Pop-up blocker would make things simpler. Others among features include password manager, shortcuts for accessing sites, Split viewing option, integration option for spell checking, web page translation, etc. Despite all these, Konqueror has a truly minimal set-up regarding usability. After all, it’s good as a combo. You might be confused why Vivaldi is here! For one, Vivaldi isn’t a popular Linux browser, but for those who like one simpler interface and other productive features, this browser in beta version would do the job. You’ve to go on with the beta version for some time, and users say the Beta version is impressive enough. Vivaldi is supposed to redefine the way you browse the web, through smart actions, controls and lots more. As we said, there’s no scarcity of features as we come to the brand-new web browser. Top-notch features of Vivaldi include the adaptive interface — which redesigns itself depending upon the site you’re visiting, special navigation methods, Sync options for multi-device access of content. Also, for those keyboard guys out there, Vivaldi offers some cool shortcuts too. Apart from these, there’s support for Email, integrated options for saving notes, etc. Altogether, Vivaldi is just the awesome web browser for Linux. So, you’ve seen our list of best Linux web browsers! While some of them like Chromium is an industry-standard web browser, some like Vivaldi are lesser-known ones. However, as we come to compare the features of both, we would go with Vivaldi. So, it’s up to you to choose the browser you want depending upon all the requirement of yours. If you just want to browse a few news websites and relax, one like Midori would be sufficient. On the other hand, if you’re an all-time web-browsing person, you should go for Vivaldi or Opera. Talking of our favorite, we liked Vivaldi and Chromium a lot. Next: How to Create a Strong Password Which is Easily Memorable But Hardly Guessable ?